In response to Masbia's distress call of experiencing empty shelves when there is a great need for food, investors Bank is responding to the call, by offering to match dollar to dollar, every dollar raised. If you donate to feed one person, will mean two people eat, if you donate to feed one family, means two families will eat. So please do the best you can, and donate as much as you can. Your money will have double the impact. Your charity dollars will now buy double the rice, double the beans, double the chicken, double the peanut butter, double the tuna, double the salmon, double the carrots, double the potatoes, etc. Updated February 2, 2016 7:36 PM Investors Bank is feeding cash to a Brooklyn food bank that was running low on donations. Shelves at the Masbia Soup Kitchen in Flatbush were barren last week, and the nearly 1,500 families who regularly eat there could have gone hungry, officials say. So Investors Bank pledged to match up to $25,000 in donations, and the public accepted the challenge to pour in aid. February 1, 2016 | Charlena Wynn When it comes to giving, thinking outside of the box can be rewarding. However, even creative ideas should be realistic and appropriate. Mission focused organizations specialize in funding, services, and mentoring among many other acts of kindness which are implemented through strategic planning, to ensure the needs of the underserved are met. Where does dignity fall under nonprofit’s strategic planning and program development? While simple, dignity can greatly impact the underserved and how nonprofits carry out their missions but also how they touch the lives of those they help. January 26, 2016 4:55 PM Many food pantries in Brooklyn are struggling to keep up with an increase in demand after Saturday’s blizzard. BY ALEX ELLEFSON ON JANUARY 25, 2016 Volunteers prepare the food packages at City Councilman Chaim Deutsch’s office. (Photo:Councilman Chaim Deutsch / Facebook) More than 100 volunteers, including members of Flatbush Shomrim, fanned out around Sheepshead Bay on Sunday to deliver hot meals to elderly and disabled neighbors trapped by this weekend’s record-breaking blizzard. 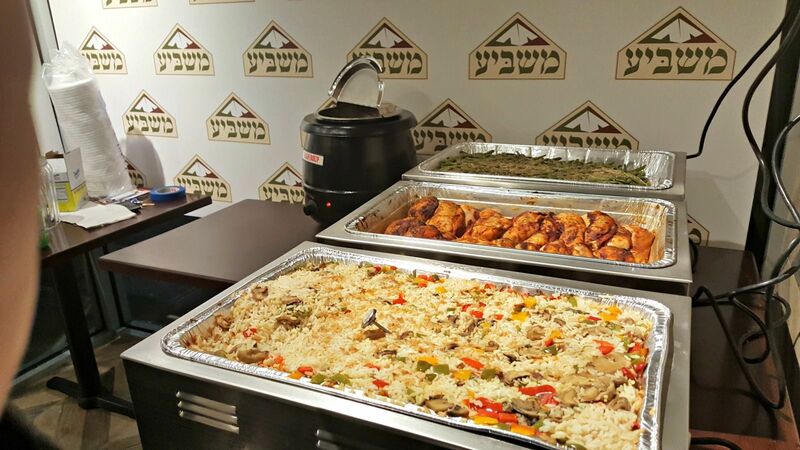 The effort was coordinated by City Councilman Chaim Deutsch, who reached out to theMasbia Soup Kitchen to prepare the food. The blizzard — one of the worst to ever hit New York City — blanketed Deutsch’s district with almost 27 inches of snow, the councilman said. January 24, 2016 08:56 AM New York - A Brooklyn city councilman will be on the city’s snow-clogged streets Sunday with his staffers, delivering food packages from a local soup kitchen to the elderly. City Councilman Chaim Deutsch is partnering with Masbia and Flatbush Shomrim to distribute meals to residents in his district. In an email sent to his constituents on Friday, Deutsch asked for anyone interested in the emergency food package to contact his office. By Roger ClarkUpdated Friday, January 22, 2016 at 12:42 PM EST A network of Brooklyn food pantries is in trouble, and is urgently asking for donations. Shelves are bare at Masbia Soup Kitchen Network, which has been providing food to the needy at three locations around the city for the past decade. The charity serves more than a million and a half meals every year, but says their supplies are at their lowest point in four years. Heavy snow is expected in the city this weekend, and the group says it needs to make sure their clients have nutritious meals to eat. "When it's the middle of the winter and it's not some holiday or something, people are not so focused on the needs of the needy. Then when there's less surplus of fresh produce, which is in the winter, a few things coming together and our shelves are empty," said Masbia Soup Kitchen Network Executive Director Alex Rapaport. "We're supposed to have at least 16 thousand pounds of frozen vegetables, and now it's empty. Even our freezer is empty of protein, and that's the most important part of this kitchen," said Masbia Soup Kitchen Network Chef Ruben Diaz. For more information and details on how to donate, visit masbia.org. January 21, 2016 03:43 PM One of the volunteers prepare food at Masbaia Soup Kitchen Brooklyn, NY - The New York City charity Masbia (MAHZ’-bee-uh) says the grocery bags it’s distributing to families before the storm are a lot lighter than usual. Executive Director Alexander Rapaport says the charity’s “gap between supply and demand” is at the lowest point in four years. Up to 1,500 families were expected to line up Thursday at Masbia’s kosher soup kitchens for a grocery bag. Rapaport said volunteers would “make sure that everyone gets at least something.” He said donations are used to purchase beans, rice, peanut butter, flour, carrots and other staples.